When it comes to money, no one can make all the right decisions all the time. Most people have done things they later regretted, especially when it comes to credit card debt. It may be a simple thing like getting charged $3 for withdrawing cash from an out-of-network ATM machine or a big mistake like maxing out your cash advance option without any apparent means to pay for it. Credit card issuers are never happy with late payers. Because of this, they have severe penalty charges and charge high interest payments for individuals who pay past the due date. In addition, some issuers even report your transgression to the credit bureaus so your credit score will suffer as well. If you’ve been an on-time payer in the past, some companies may let it slide. Just make sure to call them and ask them to waive the interest fee as well. Generally, credit card companies earn the most from slow payers. Paying only the minimum might not affect your credit score but you might end up paying more on the interest than the principal. This is not a good practice because it keeps you in debt for a lengthier timeframe. This is one of the worst mistakes you can commit if you have a credit card. You will be slammed with high interest rates, penalty fees, and other charges. As if that’s not bad enough, your credit score will also take a huge hit. Because of this, you will need to pay more when you take out a loan next time. In essence, missing a payment is a no-no. Pay the minimum at the very least. Credit card debt is not only a problem for individual consumers, but for small businesses as well. A study conducted by the Ewing Marion Kauffman Foundation revealed that having credit card debts reduce a new business’s capability to survive over the short term. Research indicates that during the first years of operation, these new businesses experience an increase in their debt before it stabilizes. But why would new businesses use credit cards to finance business expenses? According to Robert Litan, the vice president for research and policy at the research firm, “Small businesses’ access to formal credit market historically has been limited, a situation that has been exacerbated with the recent contraction of credit markets”. Over a half of new companies now rely on unsecured debt for their needs because of its ready access. It is also a lot easier to get than traditional business loans. Common sense tells us that the high interests charged by the bank makes it difficult for a start-up to repay significant debt loads in a short timeframe. That’s the reason why programs like business loans, auto loans, and other traditional loans exist in the market. They have lower interest rates suitable for the intended purpose. Improve Your Cash Flow – cash flow is a problem most new businesses face due to insufficient capital, slow-paying clients, and improper money management. Address by loophole that is holding up collection to get cash for repayment purposes. Aim to Pay More than Just the Minimum – paying just the minimum required is ill-advised. Unless there is no other option, consider paying above the minimum each month to lessen your debt. Avoid Credit Card Debts – this is the most practical advice this blog has probably given. 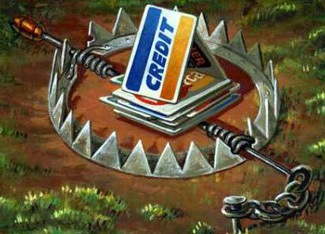 To avoid the credit card trap, be sure to avoid additional debt if you know you can’t repay it on time.